Dahlia Row is known for being able to bring an acoustic, fresh twist to songs that have been popular for years. Their latest rendition of “Fly Me To The Moon” doesn’t disappoint and is the perfect version to listen to on a warm summer night. 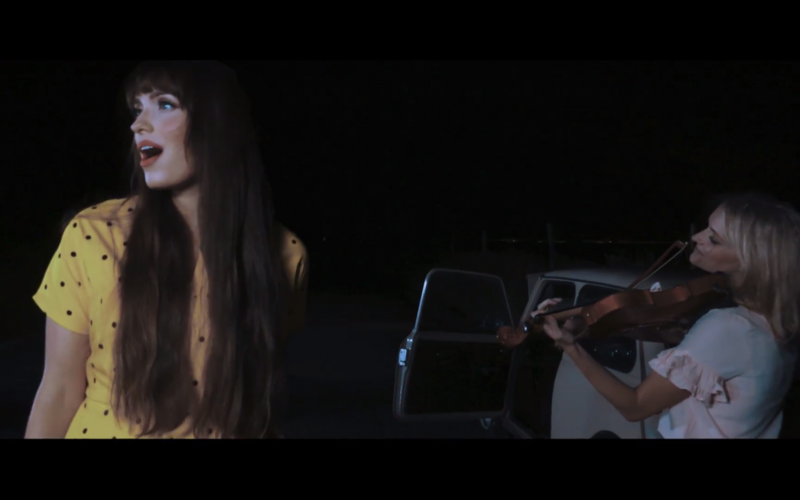 The video features the trio on a dark road, looking like they’ve just come from a fancy party, and trying to deal with a car that’s broken down. The sweet jazzy tune adds to the atmosphere and makes the ambiance of the video almost romantic. The trio is able to combine the instrumentals with their sweet vocals to create a new take on the classic jazz number that was popularized by none other than Frank Sinatra. “Fly Me To The Moon” was played during the Apollo 10 mission that orbited the moon, cementing Sinatra’s version in history. Nonetheless, Dahlia Row is able to make the song feel fresh and modern with their recent version.